China’s Xiaomi has filed for an initial public offering in Hong Kong. The Xiaomi IPO is expected to bring in $10 billion, making it the largest listing in nearly four years and the biggest since Alibaba Holding Ltd (NYSE:BABA). If it meets its funding target, Xiaomi stock would value the company at between $80 billion and $100 billion. And it would cap a wild ride for the eight year-old tech company. According to Reuters, China’s Xiaomi filed for its IPO May 2. The Xiaomi IPO would take place in Hong Kong. Reuters’ anonymous sources claim the funding target is $10 billion, which would likely give the company a market valuation in the $80 billion to $100 billion range, although there is speculation it may top out at $70 billion. Those sources say the IPO could happen as early as June. If Xiaomi succeeds in raising $10 billion, that would make it the largest IPO since Alibaba’s 2014 IPO raised $25 billion. As part of the filing process, Xiaomi revealed its financials and the numbers paint an interesting picture. Revenue for 2017 was 114.62 billion yuan, or $18 billion. This was a 67% increase from 2016 and reflects the company’s renewed success in selling smartphones. Despite a slowing smartphone market, Xiaomi doubled its shipments of the devices in 2017 and by Q4 2017 had become the world’s fourth largest smartphone vendor. However, that smartphone business is something potential investors will be watching closely before pulling the trigger on Xiaomi stock. The $18 billion in revenue generated a $1.92 billion operating profit reflects the low margins the company makes on its smartphones. 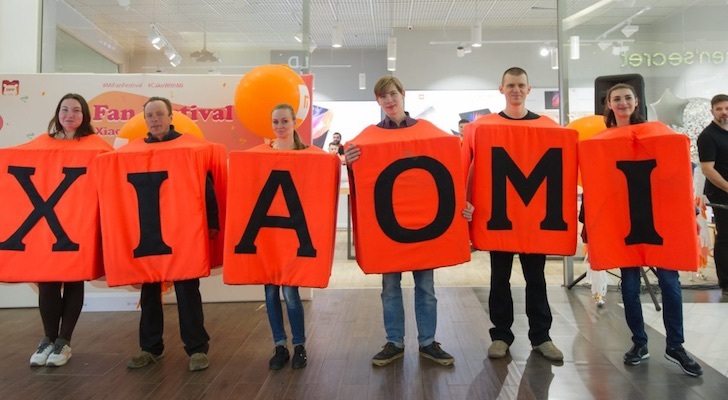 Xiaomi phones are largely inexpensive and aimed at markets like India, China and Russia. According to Reuters, those are just 8.8% compared to the estimated 60% margins Apple Inc. (NASDAQ:AAPL) makes on the iPhone 8 and iPhone X. And smartphone revenue is 70% of the company’s total. The company also offers inexpensive “Mi devices,” including trackers that have cut into Fitbit Inc (NYSE:FIT) sales, and a range of consumer electronics such as wireless speakers, connected home appliances and smart lighting. These make up 13% of revenue. And, Xiaomi also operates internet services that had 160 million active users as of March, and healthy margins of 60%. However, this segment is less than 10% of revenue. Overall, the company actually lost $6.9 billion in 2017 because of issuance of preferred shares to investors. Xiaomi is only eight years old. It didn’t release its first smartphone until 2011, and quickly experienced a meteoric rise that had it compared to Apple; but then the wheels fell off the bus. By 2016, it was struggling to meet 2015 revenue levels, it dropped from third place to fifth in the world smartphone market. The smartphones it did sell with those razor-thin margins made up 95% of its revenue. By the start of 2017, one analyst had Xiaoma valued at just $3.6 billion. However, with increased smartphone sales thanks to popular new models like the $220 Redmi Note 5 Pro and $500 Mi Mix 2, the push into consumer electronics, and the popularity of its MIUI online services, the company was able to make 2017 a turnaround year. Which brings it to today. From as low as $3.6 billion just over a year ago, we are looking at an Xiaomi IPO that could value the company as high as $100 billion. We will find out as early as June whether investors buy into the story that Xiaomi has put its troubles behind it and is ready to grow. Article printed from InvestorPlace Media, https://investorplace.com/2018/05/xiaomi-stock-ipo-know/.